How High Should Handicapped Toilets Be? 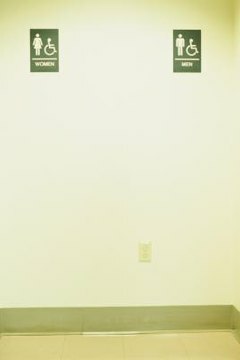 A general look at the Americans With Disabilities Act and how it relates to toilet height. In 1990, President George H. W. Bush signed into law the Americans With Disabilities Act (also known as the ADA Act), which prohibits discrimination against people with handicaps. 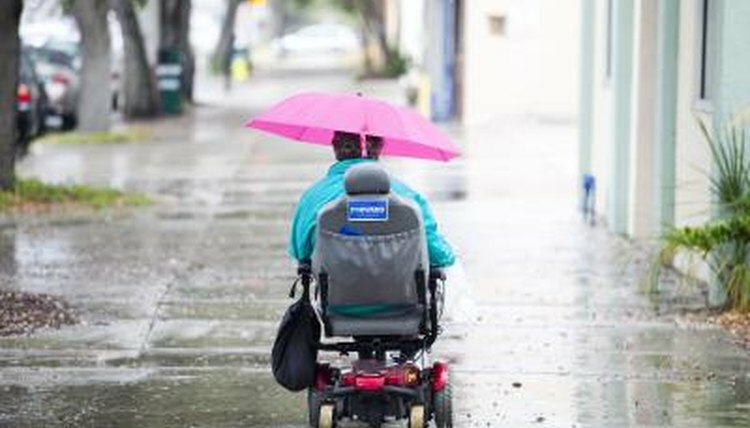 In addition to forbidding discrimination in the workplace, the law also mandates how access to public accommodations must be modified so that handicapped people may enjoy them in the same way that able-bodied people do. The ADA Act changed the architectural landscape of America. After July 1992, all new construction having public access, and in certain instances, existing structures as well, had to be modified so disabled individuals wouldn't be excluded. The ramps for wheelchairs that we take for granted today began to be installed at this time. 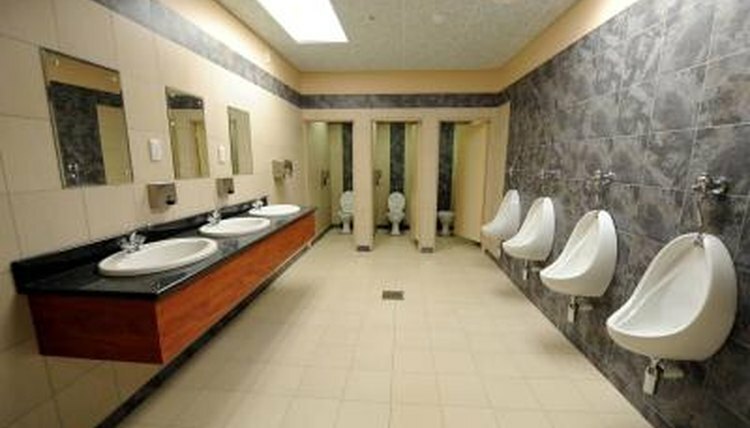 One of the most obvious changes resulting from the law was the modification of public rest rooms. . Most notable was the addition of the enlarged toilet stall equipped with grab rails necessary to accommodate people in wheelchairs. A stall must be at least 48 inches wide when the entrance is from the front and 66 inches in length so that the wheelchair can fit inside and allow the door to be closed. The toilet itself is also different from the one you will find in a regular home. It must be between 17 and 19 inches high, measured from the floor to the top of the seat, and the shape must be elongated as opposed to the more circular shape of home toilets. 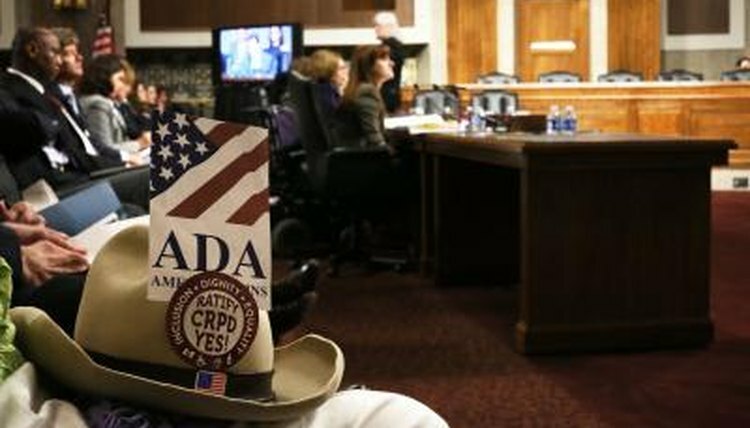 The complete guidelines for ADA compliance are several hundred pages long and address many elements to increase the quality of life for people with physical challenges. Richard Philbrick was a newspaper reporter, magazine editor, hospital public relations director and freelance writer on such subjects as crime, health care, East-West trade, entertainment and sports for 10 years. He then worked on boats, was a captain of yachts and small commercial craft for the next 20 years and has had articles published in "Southern Boating Magazine." Philbrick, Richard. "How High Should Handicapped Toilets Be?" , https://legalbeagle.com/5657715-high-should-handicapped-toilets-be.html. Accessed 20 April 2019. 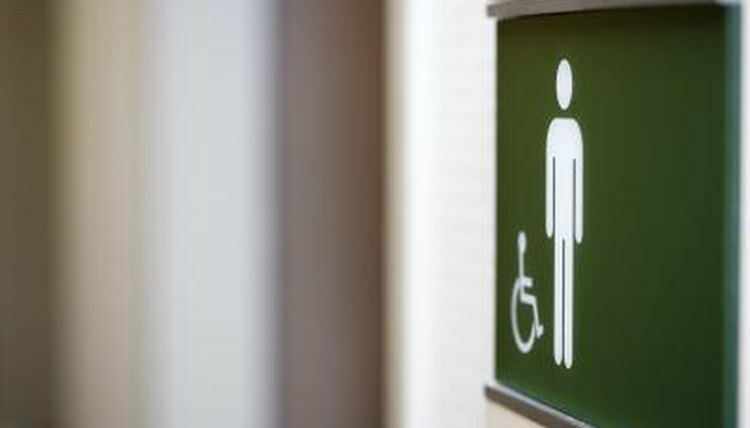 What Is the Height for ADA Compliant Toilets?